I wrote this one a long time ago... like February. 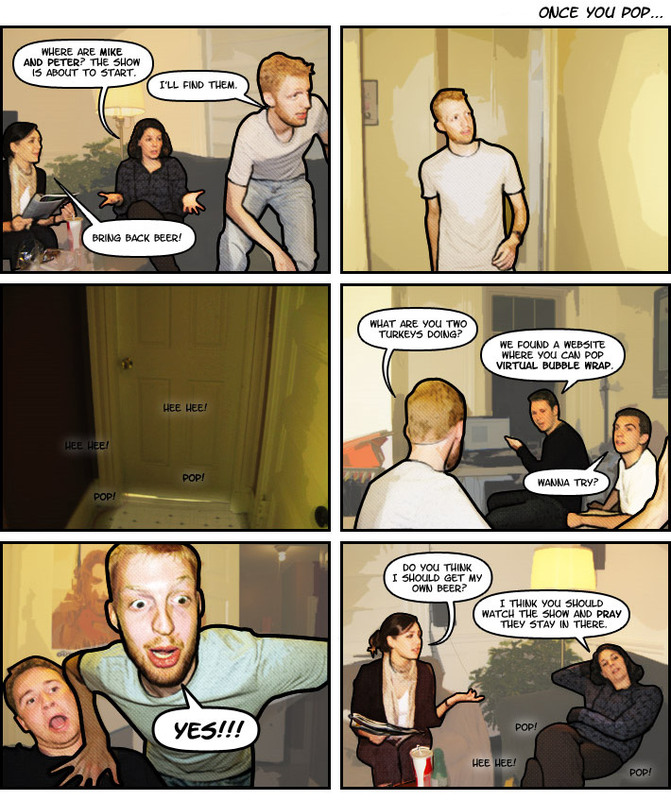 And we finally made it into a comic! This is an exciting weekend coming up! Dan is coming to visit for a special project we're starting soon... Sunday will be our 6-month anniversary... And I think I'm gonna get a blender! Anyway, see you again on Monday! Ahoy! Take a gander back at Monday's comic, which I finally got around to finalizing! Now it's off to bed with me - I need to get up early and have my car tire repaired so I can drive up to Mass tomorrow! Someone should tell the New Haven road crews not to leave 4 inch screws lying in the street.